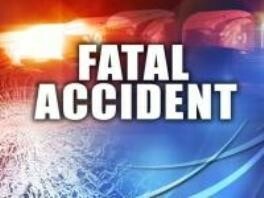 A one vehicle, rollover accident has claimed the life of a Guymon Oklahoma man. The accident occurred at approximately 8:40pm Saturday night, 3 miles west of Liberal on US Highway 54. A 2004 Ford Explorer being driven by Manual Hernandez, 26, of Guymon was westbound on Highway 54 when he lost control on the overpass and entered a side skid into the north ditch. The Explorer then rolled multiple times before coming to rest on the driver’s side facing east. Hernandez,and passengers Thomas Martinez, 26, of Guymon, and Jesse Ponce, 22, also of Guymon were taken to Southwest Medical Center to be treated for their injuries. Thay Torres-Ocacio, 35, of Guymon, died at the scene. Two other passengers in the vehicle, Debbie Solis and Francisco Vallejos, both of Guymon, were not injured.